We are trusted as a reliable Manufacturer, Exporter & Supplier of Textile Cones. 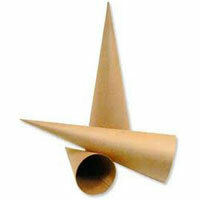 The Textile Cones, provided by us, includes Paper Cones, Cardboard Cones, and Conical Waxed Cones. These Textile Cones are manufactured using best-grade raw material that is obtained from the certified vendors. We provide the Textile Cones to the clients, in assorted specifications to meet diverse preferences. We offer the Textile Cones to the clients at reasonable price. 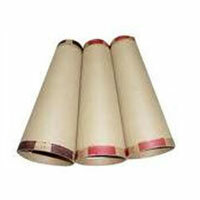 We make available the Cardboard Cones for the use in yarn cone winder & variety of crafts or projects. The Cardboard Cones, we offer, are made of heavy gauge cardboard that give them a precise mold, which assures fast fiber winding. The clients can avail the Cardboard Cones from us at reasonable price. 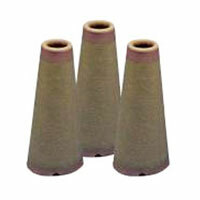 We are actively involved in the manufacturing & supplying of Conical Waxed Cones. The Conical Waxed Cones are available in various sizes & varieties to meet the diverse yarn packaging requirements. The Conical Waxed Cones are used for positioning (Holding down) bolts. The clients can even avail the Conical Waxed Cones in customized form.